To bring back the trust to the market! TheMarketsTrust is building the first real-time Rating Agency in the world, based in Luxembourg. 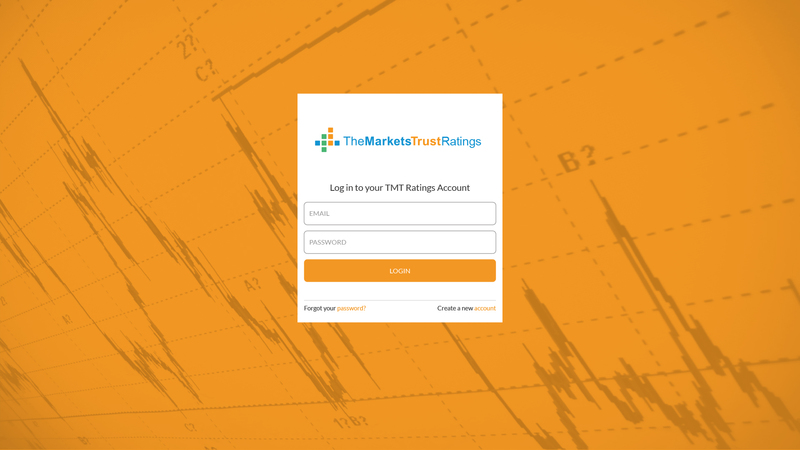 TheMarketsTrust Ratings is an Independent European Rating Agency dedicated to complex financial products like hybrid securities and structured financial products. Ratings are produced in real-time or near real-time thanks to modelling relying on machine learning, big data and market sentiment. We are building the next generation Credit Rating Agency! Servicing banks, insurance companies, large corporations and other issuers of hybrid securities and structured products as an independent, EU-certified and regulated Credit Rating Agency. Providing reliable valuations and real-time risk analysis to investors in hybrid securities and structured products, thereby significantly improving the transparency in the market and advancing the market’s trust. Our mission is to disrupt fundamentally the credit ratings market by leveraging technology to reach more reliable and timely ratings. 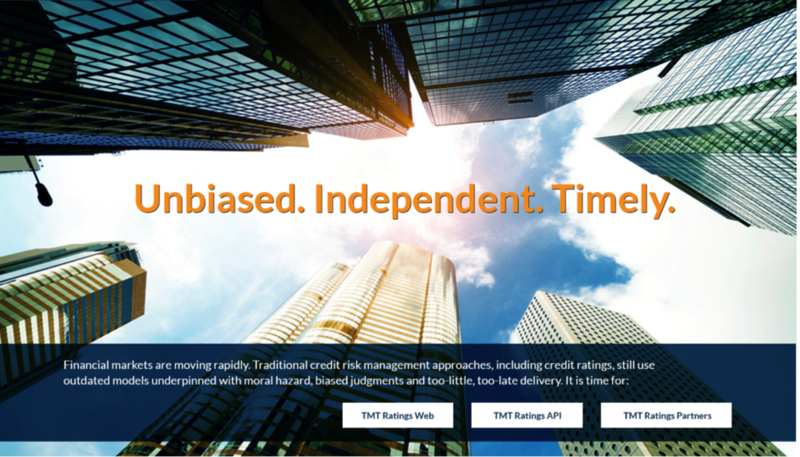 TMT Ratings value proposal lies in 100% data-driven credit rating assessments, reliable valuations and real-time risk analysis for hybrid securities and structured products. Supported by large-scale machine learning algorithms, our technological solution – the Leopard Workstation, enables immediate elicitation of complex dependencies between diverse datasets. The dynamic simulation framework allows for accurate, forward-looking risk measurements and stress testing. The Leopard Workstation identifies immediately any relevant movement in the underlying data. 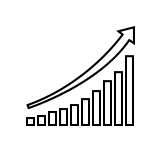 Whether it is a fundamental movement (like a new report released by the regulator or by the security issuer), from the market (for instance a change in the stock price of the issuer) or an unstructured variation (for example a financial media news article describing a complex legal case in which the issuing entity is involved) and calculates all results, including ratings, on an on-going basis. than in the case of standard bonds. 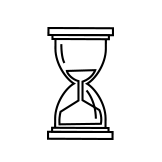 The system provides instant access to all relevant information around a CoCo bond through a simple, intuitive user interface (UI). A standardised view on the key contractual provisions of the CoCo bond, with particular focus on those that impact rating and valuation. The market data inputs used in the valuation process, like Equity Prices, Volatilities and Spreads. Fair Value Estimates, Risk Factor sensitivities and Credit Ratings. Full history of all estimates for the purposes of back-testing and risk analysis. 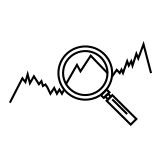 Possibility co compare bonds to benchmarks for the purposes of identification of mispricing. 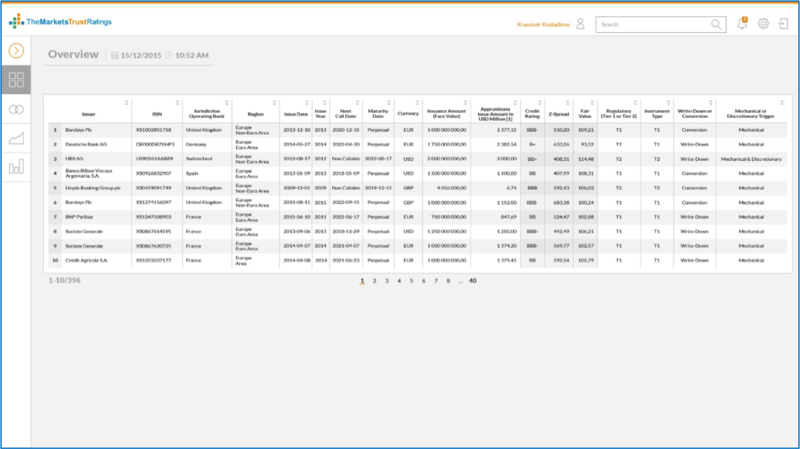 All estimates and market data are updated in real-time, while the contractual and reference data are updated daily. For each supported security, the system provides detailed information on the input parameters and a set of risk metrics that quantify both the credit and the market risk dimensions. For each CoCo bond, the system provides the following risk measures. CoCo Bond credit rating, which is an assessment of the likelihood for significant losses to occur on the specific bond. CoCo Bond mark-to-model valuation, under 3 alternative approaches. CoCo Bond Fair Value, which is a single, reliable valuation measure based on cross-validation of the above three modelling approaches with the goal to eliminate short-term discrepancies. CoCo Bond risk sensitivities, which measure the change of the CoCo Bond Fair Value with respect observable market parameter like the stock price or the CDS rate. 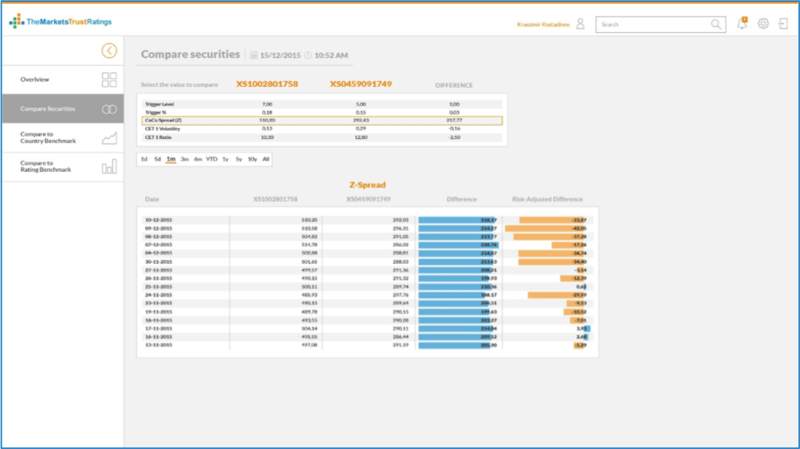 The system allows for identification of trading opportunities by analysing the risk premiums that investors charge for assuming the loss absorption risk. Benchmark to another CoCo bond. Benchmark to another CoCo bond with credit spreads risk-adjusted to reflect the loss triggering mechanism of the first bond. Benchmark to a weighted average, risk-adjusted CoCo credit spread index of all CoCo bonds in the same country or region. Benchmark to a weighted average, risk-adjusted CoCo credit spread index of all CoCo bonds with the same credit rating. 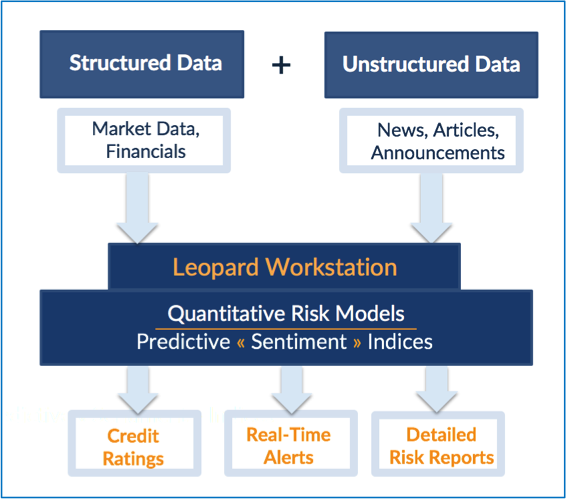 One hundred percent data-driven credit rating assessments, independent valuations and immediate risk analysis in a state-of-the-art risk engine platform – The Leopard Workstation. 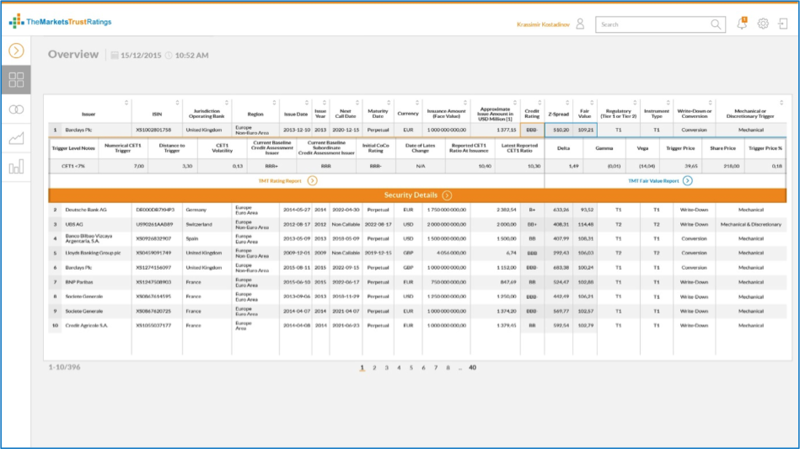 The Leopard Workstation platform integrates and analyses market data, financial data and unstructured information in order to derive valuations, credit ratings and risk measurements of hybrid securities and structured products. Market Data, including 3rd party platforms. Based on top expertise in Hybrid Securities. 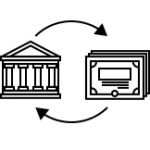 Combining Quantitative and Behavioural Finance. Elaboration of risk scenarios using Machine Learning. 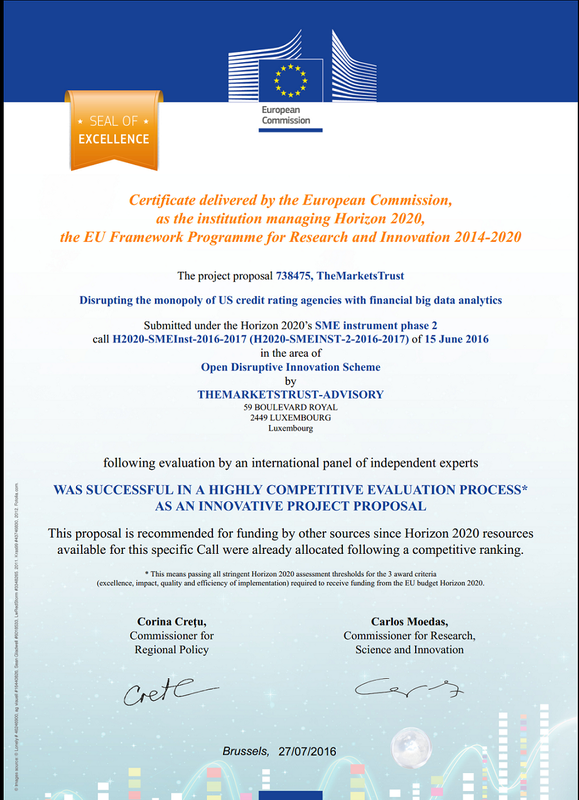 TheMarketsTrust achieves the European Commission Seal of Excellence and recommendation. Europe believes in our projects!